Iowa Northland Oil sticker 1950s - $20.00 : Bob Hoyts Classic Inspection Stickers, Add a Final Touch to your Restoration! 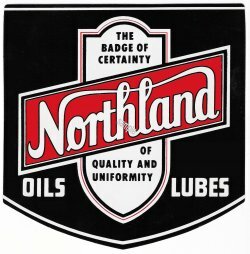 This attractive Northland oil sticker comes from Iowa. It is not known if the oil company was statewide only or was available outside of Iowa. It has been UV treated to prevent fading.